Home Society Human Rights The First? 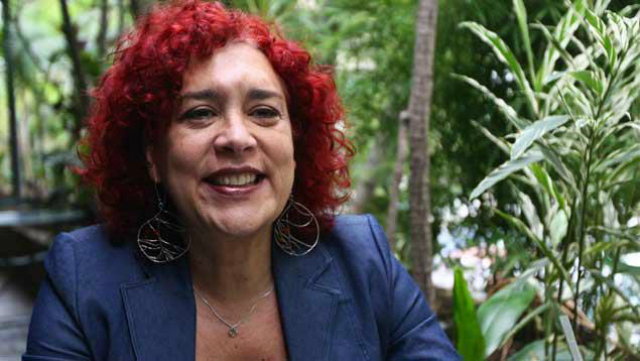 In a recent meeting between political parties and the CNE, it was agreed that Tamara Adrián could run for Congress as part of the female cuota of the MUD. If this comes to pass, and I say If, considering it was not written down anywhere as far as I could see, this would be a huge step forward for the recognition of the LGBT community. Adrián is the leader of Voluntad Popular’s Proinclusión movement. A lawyer from UCAB with an impressive resume, she is an advocate of women’s and the LGBT community’s rights. For eleven years, she has been requesting the recognition of her gender identity to the TSJ, who promptly put her case in a drawer, or as we say in Venezuela, engavetao. Months ago, she had requested the MUD to be chosen as a female candidate for the December election, but it was only when the CNE emited the gender parity resolution that the MUD considered her candidacy. With Tamara Adrián’s candidacy, the MUD has just won a considerable amount of votes and has removed their conservative label. In an interview with Contrapunto, she has said that she will not limit herself only to those matter concerning minorities, but also will push for economic and oil reforms. But is clear that her star reform will be dusting off the marriage equality proposal and pushing for its approval. Nonetheless, lawyer Jesús Silva warns/elucidates the potential issues about Tamara’s candidacy. From a legal point of view, he says that it could result in a constitutional conflict that only the constitutional chamber of the TSJ could resolve. For now, we can expect to see her name on the ballot as Tomás Mariano Adrián Hernández, her former name. I hope sooner rather than later it will change to Tamara Adrián.